SCHUYLER COUNTY—The Schuyler County Legislature agreed to accept the low bid price of $834,315 from Silverline Construction for construction of the South Genesee Street Bridge Project at their regular meeting Tuesday. Oct. 12. Bids were received and opened Oct. 5. After being reviewed a recommendation was given by Fisher Associated Engineers to accept the low bid from Silverline Construction. Funding for the project is in the 2011 budget and is fully reimbursed. Reimbursement will stem from 80 percent federal, 15 percent state, and five percent from the town of Montour. The legislature also announced a public hearing for the 2011 County Budget to be held Monday, Nov. 8 at 6:30 p.m. 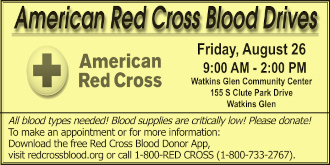 It will be held in room 120 at the Human Services Complex at 323 Owego St. in Montour Falls. The regular meeting of the Schuyler County Legislature will follow the public hearing with possible action to adopt the proposed 2011 budget. • The legislature approved to authorize grant acceptance and renewal for A Partnership for Youth (APY) aligning the youth development and workforce development systems grant. The Schuyler County Youth Bureau, Chemung County Youth Bureau, Catholic Charities of Schuyler County, Catholic Charities of Chemung County, Pro Action of Steuben & Yates County, Inc. and Workforce New York is filling an employment gap with youth specially challenged and considered difficult to serve youth. According to the grant the youth bureaus must collaborate with existing workforce investment programs and provide up to five percent of grant funds for administrative responsibility. The $116,900 of allocated funds will allow the youth bureau will begin a contract with Pro Action and Catholic Charities to meet this demand and with Workforce New York for program monitoring. • The Schuyler County Legislature agreed to reimburse the town of Hector for health insurance. The town of Hector terminated its agreement with the county for health insurance beginning Jan. 1, 2010. According to an agreement the town of Hector had to pay two months with of premium to cover claims run out in the amount of $50,006.26. The claims run out at the end of June totaled $10,846.66. The county has agreed to reimburse the town of Hector $39,159.60 in unspent health insurance premium. 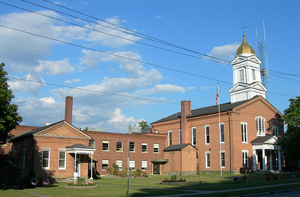 • The Schuyler County Legislature approved to modify an existing contract with Schuyler County and the New York State Office of Probation and Correctional Alternatives (OPCA) to reflect a reduction in state aid for alternatives to the incarceration service plan for 2010. Alternatives to incarceration programs of community service and pre-trial release. The Division of Criminal Justice Services has said the aid for this contract has been reduced by 10 percent under the New York State Budget. The OPCA will reimburse aid in the amount of $4,324. • The legislature approved to accept/reject bids for structure maintenance and repairs on various structures throughout the county. The highway superintendent and Public Works Committee agree there is a need for assistance when structural damage is done to the county through emergencies, State Flag reports, natural disasters, etc. Bids were received and on Tuesday, Oct. 12, the low bid from Silverline Construction was accepted by the legislature. The towns of Catharine, Cayuta, Hector and Montour will pay a total of $743.50 in hourly rates for five different trucks and equipment needed, a carpenter, foreman and iron worker. The towns of Dix, Orange, Reading and Tyrone will pay a total of $742 in hourly rates for five different trucks and equipment needed, a carpenter, foreman and iron worker. The contract will begin immediately and the bid is to be used within budgeted funds for a given year. • The legislature also voted to approve Oct. 18-22 as National Business Women’s Week and November 2010 as National Diabetes Month.